Neem Tree has been described in Ayurveda’s prime text, the Charaka Samhita, as sarva roga nivarini (that which keeps all diseases at bay) or arishtha (reliever of disease). Its extracts have been used in the Ayurvedic tradition for thousands of years for maintaining health and overall well-being. The roots, bark, gum, leaves, fruit, seed kernels and seed oil are all used in therapeutic preparations for both internal and topical use. Neem trees grow very rapidly and have broad spreading leaves, which they can drop quickly in a drought so as to protect the rest of the trees. This quality makes them extremely resilient to challenging environments; it is primarily found in tropical and subtropical zones and thrives there. The flowers are very fragrant and white in color, while the fruit of the neem tree is a small drupe with a bittersweet pulp. Clears Acne & Dark Pigmentation — Boil a concoction of about 20 neem leaves in half a liter of water till the leaves are soft and discolored, and the water turns green. Strain and store in a bottle. Use this liquid as a skin toner by just dipping a cotton ball into it and wiping your face with it every night. Regular usage will help in clearing acne, scars, pigmentation and blackheads. Prevents recurrence of Blackheads — In case you have a very sensitive skin and are suffering from blackheads, dilute neem oil with water and apply it over the blackheads. Make sure that that you don’t use more than 2-3 drops of neem oil. Applying this regularly will help you in getting rid of blackheads and also prevent them from coming back. Treats Skin Infection — To get rid of skin infection, prepare the concoction as mentioned above and add about 100 ml of it to your bathing water. Prevents Acne Breakouts — To get rid of acne, take about 10 neem leaves, boil them with small segments of orange peel in a little water. When they become a little soft, let them cook a little and then pound them into a pulp. Apply this to your face and let it sit till it starts drying after which you can rinse with cold water. This face pack will help in clearing acne and prevent breakouts . It also helps in getting rid of whiteheads and blackheads. For Clear and Glowy Skin — Another effective remedy for acne and pimples using neem is to make a paste of neem leaves and turmeric and use it twice a week. Regular usage gives you a clear and flawless skin. You can also add some grated cucumber to it as well. Treats pimples — Just like neem, tulsi is another herb that has many benefits for the skin. Grind together a few neem leaves with a handful of tulsi leaves or you can use the powder form of both, if they are available to you. Mix it with rose water to form a paste and apply it to naturally treat pimples. Controls Excess Oils — Oily skin beauties who are looking for some sebum control can make a paste by mixing neem powder with lemon juice and a little bit of yogurt. This will not only control the excess oil but also prevent acne and infections that are common problems associated with this skin type. Lightens Skin Pigmentation — To get rid of pigmentation and blemishes on the skin, mix neem powder, with tulsi powder, sandalwood powder and rose water to make a fine paste. Apply the paste on your face and let it dry before you wash it off with cold water. Regular usage will help in lightening the blemishes. Delays Signs of Skin Aging — Neem contains immune-stimulating compounds and regenerative properties that help the skin fight pathogens below the skin surface, thus keeping the skin remain supple. Applying neem oil on your face or adding neem powder to face packs helps in soothing the skin and reducing the effects of aging. Treats Skin Allergies & Infections — Neem has anti-inflammatory and analgesic properties that help in soothing the skin in case you are suffering from some skin allergy or infection. Boil the neem leaves & apply the water on the allergy after refrigerating it so that it cools down. Treats Eczema — Eczema is a skin disorder which makes the skin dry and itchy. Neem offers instantaneous and long-term relief from eczema. It also effectively cleans the rashes caused due to eczema. You can boil neem bark in water and use its paste as a pack against eczema. Perfect Solution for Dark Eye Circles — Neem helps in reducing the pigmentation as well as acts as a moisturizing agent, it is the perfect solution to this problem. Just make a paste of water and neem powder and apply it around the eyes. Wash it off after 15 minutes. Do this every day to see the difference. Enhances Hair Growth Rate — Neem has regenerative properties which help in reducing hair fall. An oil massage to the scalp using neem oil can increase the blood circulation in the scalp and help in enhancing the rate of hair growth. Conditions Hair — Just like neem can be used to moisturize dry skin, it can also be used as a natural conditioner for dry and fizzy hair. Just make a paste of neem leaves boiled in water & honey, and apply it to the hair followed by regular hair wash, and your dry and untamed tresses will be well-conditioned, dandruff-free and without frizz. Treats All Scalp-Related Problems — Another hair mask that will help you deep condition your hair can be made by mixing neem powder with amla powder, shikakai powder and reetha powder with water and lemon juice. Apply this to your hair and let it sit for 30 minutes before you wash it off with your regular shampoo. The ingredients of the pack will help in keeping the scalp problems at bay while retaining the moisture in the hair and preventing dryness. Treats Baldness — Most of us believe that baldness is a cosmetic issue. But the lesser-known fact is that baldness can also be a result of some long-term treatment with heavy drugs. Such cases of baldness can be cured by using neem. Neem makes the hair stronger against hair fall and restores lost hair too. Regular use of neem as a hair mask and neem water as a rinse promotes hair growth. Neem also triggers the normal functioning of the scalp to ensure the regrowth of hair. Cures Asthma — Take a few drops of neem oil – 3 drops to start with, at the center of the tongue and swallow. Increase the dosage of intake gradually – say 4 drops in the second week, 5 drops in the 3rd week and go up to one teaspoon within six months. Asthma can be completely cured by this method. This also helps in controlling phlegm, wheezing, cough, and breathing. Neem offers a long-term relief from such respiratory disorders when taken regularly. Controls Diabetes — Neem can be used to treat the non-insulin dependent, type 2 diabetes. It controls the blood sugar level and triggers sugar metabolism. This brings down the blood sugar level and offers long-lasting relief from diabetes. Neem acts as insulin after being digested by the body. Maintains Oral Health — Neem makes for an amazing oral remedy that keeps you safe from gum diseases. It can cure the problems of bleeding gums and foul smell. It checks germ formation in the mouth and offers long lasting fresh breath. It offers freedom from toothache as well. Blood Purifier — Neem, being a purifying agent, clears toxins from the blood. This amazing health benefit of neem can keep you safe from acne, skin irritations and much more. It also controls the formation of free radicals. Beneficial In Digestion — Neem leaves are a rich source of fiber. They contain 20% fiber alongside essential proteins, fat, calcium and amino acids. It improves the digestive capacity of the body and makes the intestines more active. 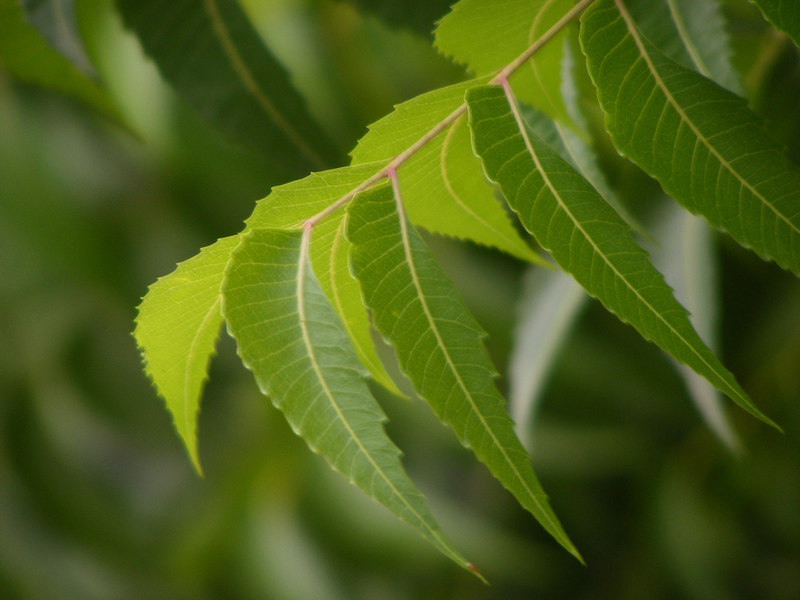 The consumption of neem leaves treats digestive disorders like gas and constipation. Enhances Blood Circulation & Regulates Hormonal Levels — Regular consumption of neem leaves helps in enhancing blood circulation as well as preventing hormonal imbalances that are a major reason behind some skin and hair problems. Consume 2-3 neem leaves mixed with some honey on an empty stomach every day and you will see the changes for yourself. Improves Eyesight — Neem flowers also help improve eyesight. Dry the neem flowers and then fry it. Now ingest the fried neem flowers to get best results. Muscle and Joint Pain Reliever — Drinking neem juice or applying it with a bit of oil helps relieve muscle pulls, pains, and joint pain. It is also known to be a cure of arthritis, which is a widespread illness nowadays. It is always advisable to consult a doctor before you proceed to take neem in the oral form. Leave your feedback in the comments below.